Heads up! We’re so excited to kick off our 2019 travel year by attending TantrumCon in Spartanburg, SC. 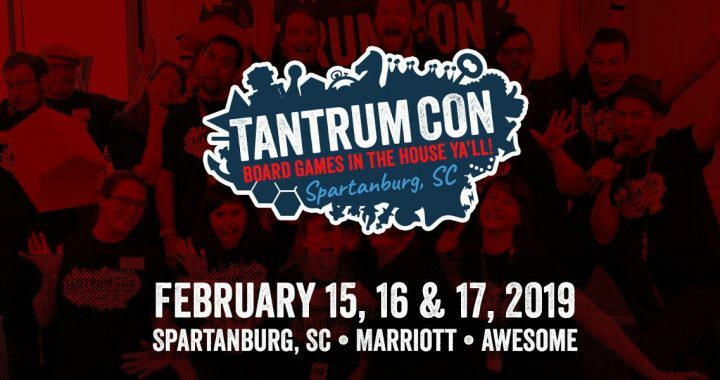 This is the first year for this board game convention hosted by the good folks at TantrumHouse, a SC-based group of folks who promote and review games. The Upstate SC area contains half the population of South Carolina, and I hope we see many of them at the Marriott to play games and have fun. Badges are still available for purchase (Tabletop Events) at $60 for a 3-day pass. (Kids’ passes are $25. )The convention offers lots of playtime to attendees both at hosted tables run by volunteers to designer-led events and tournaments. Check out the Cataan national qualifier or play a few rounds in the Munchkin or Keyforge competitions. The board game industry runs on networking. It’s so critical to get out of one’s hole and talk to other designers and to players. We believe that games should build community, and should be designed within community. It’s hard to be creative if you’re alone. Meeting as many game devs as we can. Can’t wait to be inspired and energized by spending time around people trying to do the same thing. Sharing our passion for games with other likeminded folks is always worth the trip. Play some amazing games — Coart & Lori have scheduled game sessions to play Viticulture, Pulsar 2849, Rising Sun, and Parks. Play-test our game in development, Sisters & Spirits. Uncover any weaknesses in the two core mechanics that drive the game: exploration (phase 1) and tower defense (phase 2). Monitor the level of down-time each player experiences while the other side is taking their turn. At the moment, it feels like individual turns might be taking too long. Tweak the power balance for the two sides. All of our play-tests to this point have resulted in very close games, almost too close. We’re wondering if we need to punch up the asymmetry of the Sisters vs Spirits powers and move options to make things more exciting for both sides. Test some ideas for Last Girl Standing, the power-up that the final Sister receives once she is the remaining human in the house. 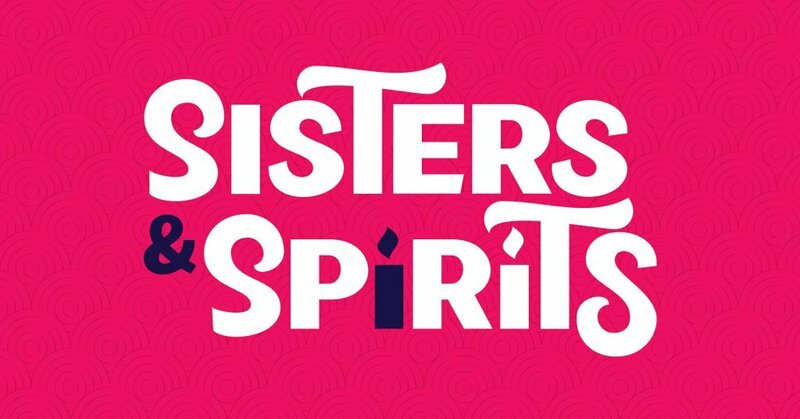 We’re hopeful that we can release a Print & Play version of Sisters & Spirits later this spring to allow anyone who’s interested to give us feedback. But that’s a post for another time…. See you in February, Spartanburg! Come play a round with us! Posted in News and tagged convention.